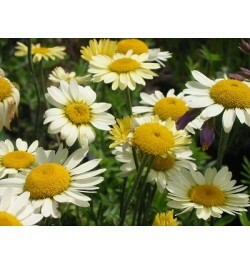 This hardy daisies is among the best choice for summer-long colour in the sunny border. 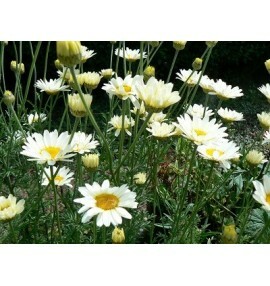 Plants form a mound of ferny green leaves, bearing branches of daisy flowers through the summer months. This selection has pale sulphur yellow flowers that blend with nearly anything. Relatively drought tolerant, and adapts well to poor soils. Removing faded flowers regularly will greatly increase blooming time. If plants become floppy in mid-summer, shear them back to 50cm to rejuvenate.